Can Anyone Get a Loan If They Have a Cosigner? Issuing loans to consumers represents a significant risk to the lender. The lender is gambling on your ability and intent to repay based on past experiences. Lenders place a huge emphasis on your income, job stability and credit history because it is part of the puzzle of whether you can and will pay them back on time. When your past history has a few black marks, you may not get a loan without a cosigner. Even with the cosigner, the lender may deny you anyway. In the end, it's always the discretion of the specific lender to approve or deny any loan application. All lending institutions create specific underwriting criteria for the approval or denial of a loan. If you are denied strictly on credit history, adding a cosigner with good credit history and income increases your chances of getting an approval. Borrowers with no income or unstable job history may be denied even with a cosigner because of an inability to repay the loan or increased chance of unemployment. You cannot just pick anyone to be your cosigner. Cosigners must qualify for the loan you are applying for based on their own personal information. 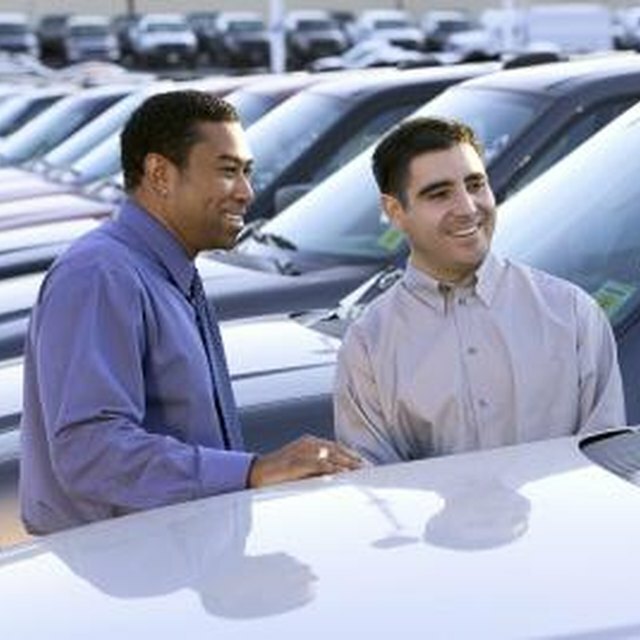 You need a cosigner with good income and credit history -- not just one or the other. Some lenders deny out-of-state cosigners because of a difficulty in pursuing a judgment in court if it comes to that. Failure to pick the right cosigner often results in a credit denial by the lender. Cosigners are signing a promise to pay back the loan in the event you default. Failure to pay your bill could result in the cosigners receiving late payments on their credit report, being subjected to debt collection and getting sued in civil court, where a judgment could wreak havoc on their credit score. A good rule of thumb: Only apply for and receive a loan you know you can pay back, otherwise you risk hurting your cosigners' financial standing as well as your relationship with them. The Federal Trade Commission suggests cosigners set up safeguards to protect their credit report and score. When drafting the loan documents, cosigners should limit their liability to the balance of the loan minus late fees, collection fees, interest and attorney's costs. The FTC also recommends instituting a notification system where the lender directly contacts the cosigner after a missed payment. When your cosigner cannot get you an approval, you may need to look into alternatives. You may ask the cosigner to loan you the money if he has the resources. By increasing the down payment on the loan -- if applicable -- you lower the total amount borrowed and may get an approval. You may also lower the amount of money you are requesting to see if that eases the credit approval.